As an urban planner, policy expert, advisor to governments, and as a person with significant disabilities I have seen first-hand how the digital age has transformed our everyday lives. 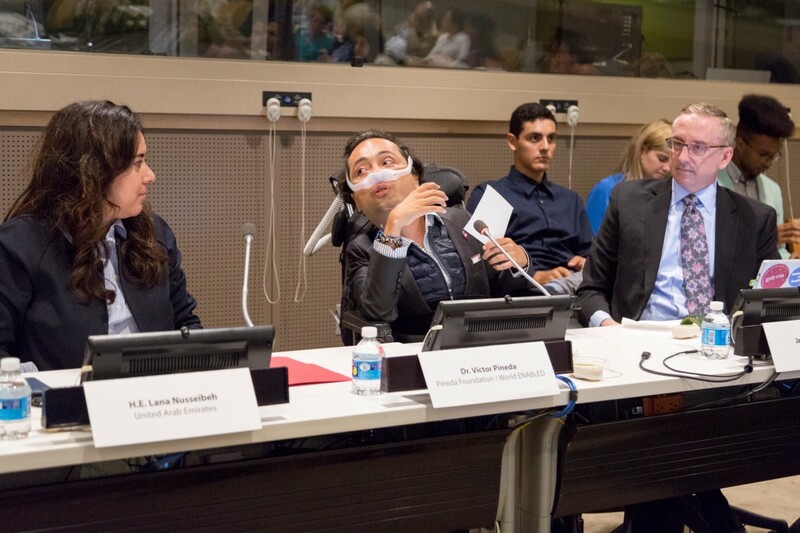 I’ve also seen how technology investments in cities like Barcelona or New York have unleashed unprecedented levels of access and opportunities for a broad and sizable number of residents who live with disabilities. We form part of every community. There are currently more than 1 billion persons with disabilities worldwide and the rate of urbanization is increasing throughout the world. By considering the needs of all people, we can design for and ensure that our cities become simultaneously smarter and more accessible. As cities invest in Smart City technology they have a unique opportunity to empower all citizens and leave no one behind. However, the current lack of digital inclusion in Smart Cities prevents people with disabilities and older persons from accessing vital resources as well as exercising their full rights as citizens. This is most evident in subtle forms of exclusion from accessing a city’s health services online or interacting with touch-screen information kiosks. According to the G3ict 2016 Global Progress Report, only 40 percent of countries have accessible government websites. Additionally, the Smart Cities for All survey, which polled experts about the digital inclusion of persons with disabilities and older persons in smart cities, revealed that 60 percent of global experts believe that Smart Cities are failing people with disabilities. The same study revealed fewer than half of experts know of a Smart City project with an explicit focus on accessible ICT. Through hundreds of interviews, my colleague James Thurston, Vice President of G3ict and I have conducted with technology leaders in cities, it is clear that cities need help in bridging the digital divide, and specifically with strengthening their internal processes that can help ensure that all digital services provided by a city are accessible to all. Precisely, the Smart Cities for All global initiative helps cities build smarter and more accessible cities by providing targeted and practical tools. Earlier this year, G3ict and my organization World Enabled launched the Smart Cities for All Toolkit — which is as of today not only available in English, Portuguese, and Spanish, but also in Arabic, Hindi, Japanese, Korean, and Marathi. Cities across the Middle East, India, Korea and Japan now have key actionable content in their local languages. It is unusual that cutting edge tools such as these are available in so many languages, but we did so to help as many citizens as possible implement inclusive and accessible ICT policies and programs. The Toolkit contains four tools to help Smart Cities worldwide include a focus on ICT accessibility and the digital inclusion of persons with disabilities and older persons, while also supporting a range of organizations and roles related to Smart Cities. Each of the tools was developed in response to barriers to digital inclusion identified by global experts. For the past 18 months, James and I have convened groups of experts and leaders. Last week in London, James and I met with Smart City leaders from the Greater London Authority, Transport for London, the Global Disability Innovation Hub, and the Future Cities Catapult among others to learn about the newest innovations and advancements at the intersection of technology and inclusion. This week, starting on November 14th we will be showcasing our work at the Smart City Expo World Congress (SCEWC) in Barcelona. There we plan to conduct a series of expert interviews and continue to grow our extensive global partner ecosystem of the Smart Cities for All global initiative. Now in our digital age, technology is an integral part of our everyday life. Building Smart Cities with accessible technology is incredibly important, and that is what this toolkit is designed to do. 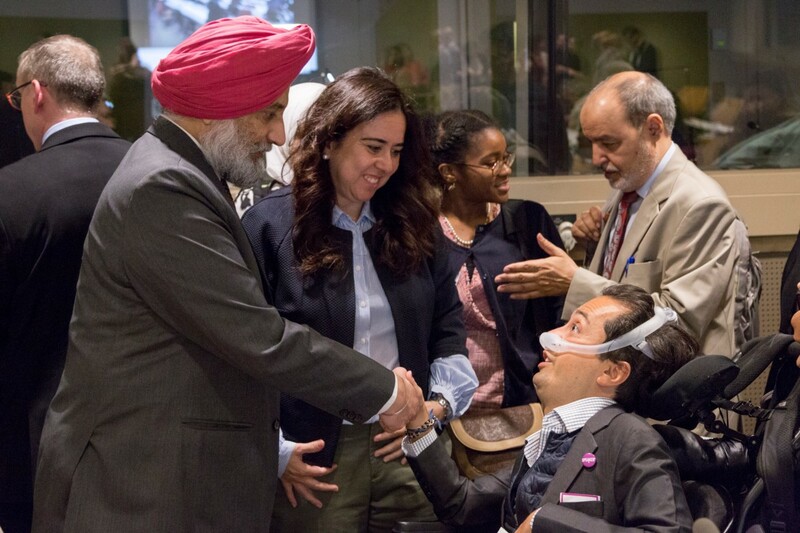 Cities like Delhi, Cairo, or Rio de Janeiro now have the tools to create smarter and more inclusive digital strategies that can allow people with disabilities to access vital resources as well as exercise their full rights as citizens and members of society. I strongly believe that together we can build a more inclusive future. If you’re attending the Smart City Expo World Congress 2017 we invite you to join our efforts and partner with us to scale up this critical work.